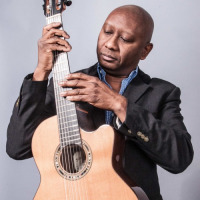 His guitar work recalls, by turns, Pat Metheny’s sleek modernity and Wes Montgomery’s riffy elation... a guitarist of mature yet inventive dexterity... Jackson is a brilliant guitarist and composer. 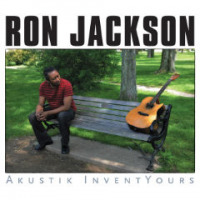 Versatile and sophisticated jazz guitarist Ron Jackson has performed, recorded and taught music in over 30 countries. With a varied career as a performer, composer and arranger, Highlights include shows and tours with artists such as Taj Mahal, Jimmy McGriff, Larry Coryell, Benny Golson, Oliver Lake, Russell Malone and Mulgrew Miller. 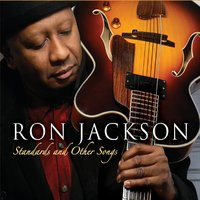 Ron has been featured as a leader in jazz festivals all over the world, including the North Sea Jazz Festival, Edinburgh Jazz Festivals and Winter Jazzfest, NYC. Greg Lewis Trio featuring Ron Jackson "Every Friday"
Ron is an experienced music educator and guitar instructor and is a faculty member at the of The New Jersey Performing Arts Center, Wachovia Jazz For Teens Program, Music Outreach, The Brooklyn Conservatory, St. Albans Congregational Church Music Program, Jazz at Lincoln Center-Jazz in the Schools and The New York Pops Create A Symphony Program. He has taught and lectured at And the Prins Claus Conservatoire, “New Comes to Groningen” program in Groningen in The Netherlands Duke University, The National Summer Guitar Workshop Jazz Summit, The New School, New York University, at Jazzmobile, as well as in clinics in France, Escuela Creativa Musica, Madrid Spain, The United Kingdom, Australia and Portugal. Ron is also available as a private instructor. 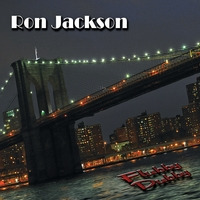 Ron Jackson’s Guitar Lesson Rates and Policies For private and online lessons. $75 1 Hour $60 45 Minutes $40 30 Minutes Travel Fee: Rates vary depending on your location. Payments must be paid in full in advance. 5 lessons or 10 lessons Paypal, Cash,Postal Money Order or Cashiers Checks Accepted. 24 hour non-refundable cancellation fee. If I cancel within 24 hours, we can reschedule. Lessons expire 3 months after payment. Class Description The Fundamentals of Improvisation and How to use them in your playing immediately. This is based mainly on the Barry Harris System of Improvisation, which is Be-Bop based, but also from my experience teaching improvisation to young students. Your Goal In This Masterclass is to start improvising, using real jazz phrases (not blues phrases but be-bop), on Jazz Blues Progression in C, C Jam Blues Rhythm Changes, like "I Got Rhythm" Bb a standard, "I'll Remember April" in G By the end the class, you should be able to make jazz licks or phrases on these tunes (As well as on any tune) if you follow this curriculum. I will demonstrate with a jazz trio. Everyone must bring their instruments and play during the workshop. You will have a chance play with the trio as well. Everyone is Welcome! For guitarists, I will give you specific ways to practice your scales and phrases on the fingerboard. Class Topics 1.) Knowing and Memorizing Your Scales a.) The Minor Pentatonic and Blues Scale b.) The Major and Melodic Minor Scales c.) The Major and Melodic Minor Scales and Their Modes d.) The Most Commonly Used Scales In Jazz, The Major, Dorian, Mixolydian, Lydian Dominant, Altered. e.) The Be-Bop Scales, Major, Dorian, Dominant (Mixolydian) and Melodic Minor, The Placement of The Chromatic Passing Tone in These Scales which makes it a Be-Bop Scale. f.) The Rhythmic Placement of Your Scales on Chord Changes and Progressions. g.II-Min7-V7 Licks (Dorian to Mixolydian) and how to use them. h.) The Use of 1,2,3,5 Phases to get through difficult, fast chord progressions. 2.) The Importance of Phrasing, Timing and The Placement of your Improvisational Phrases. 3.) Memorizing Basic Chord Progressions that common to most Jazz Standards and memorizing them a.) I maj7-VImin7-IImin7-V7 b.) IImin7-V7 c.) IImin7-V7-I maj7 d.) I min7-VImin7b5-IImin7b5-V7b9 e.) IImin7b5-V7b9 f.) IImin7b5-V7b9, Imin7 g.) Imaj7-II7 4. Basic Phases that are easy and logical that can use to play Changes. 5.) Why it's important to try to play scales, licks, and tunes in all keys. 6.) The Importance of Listening, Memorizing Tunes, Memorizing Scales and Playing with people. All About Jazz musician pages are maintained by musicians, publicists and trusted members like you. Interested? 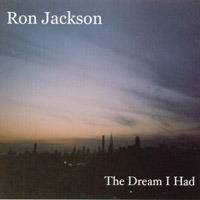 Tell us why you would like to improve the Ron Jackson musician page.